Although the primary mission of the Lewis and Clark expedition was to find a water passage to the Pacific Ocean, another goal was to identify new animal species that were seen along the way. President Jefferson asked Lewis and Clark to gather information concerning the habitats, habits, and physical descriptions of these animals. The purpose of this unit is to provide a framework for understanding how Lewis and Clark and American Indians observed and interacted with animals. The pedagogy of the unit is science inquiry and problem-based learning. The students will be gathering information from primary sources as well as using technology (World Wide Web) to gather data. Assessment is ongoing in the form of journal entries, oral presentations, and written reports. As a culminating project, the students will demonstrate an increased awareness of the need to value animals by researching an animal that was seen by Lewis and Clark's expedition and then creating a poster that shows the status of the animal and why this animal is valuable today. Observations of animals can often be biased, depending on cultural assumptions and beliefs. Can scientific observations of animals be truly objective? How are the ways people value animals related to their culture? How do Lewis and Clark and the American Indians qualify as naturalists? 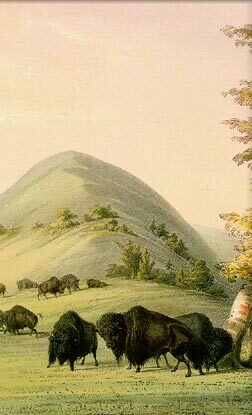 Are our present-day views of animals different from the ways people viewed animals during Lewis and Clark's time? Students will take the role of a scientist who is studying the animals observed on the Lewis and Clark expedition. They will create and use a science notebook throughout the unit of study that will be used as an assessment. Included in the science notebook will be their observations, classification data, paragraphs on comparing and contrasting the values of the two groups involved (American Indians and the Corps of Discovery), and survey results. Oral presentations will also be assessed by peers and by the teacher.